What do fundamentalists learn in school? 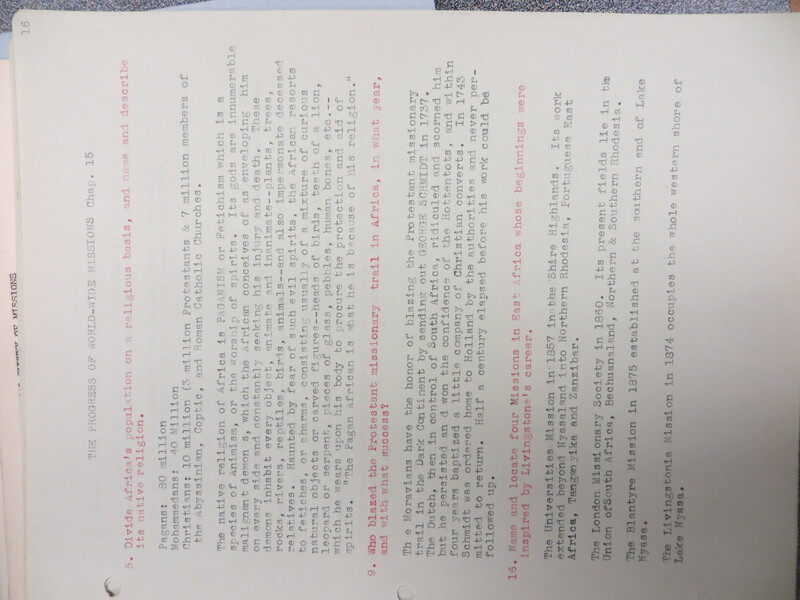 As I continue my research into evangelical higher education this week at the Moody Bible Institute archives, I’ve found a couple of clues about what went on in fundamentalist classrooms. It is always one of the trickiest things for historians to pry behind the classroom door. We can study the institutional goings-on at schools. We can look at the paper trail of rules, curriculum changes, textbook decisions, and the like. But it is extremely difficult to discover what real students really did. Thanks to the voluminous collections at MBI, I’ve found some hints of what fundamentalist learning looked like. One scrapbook collection from the early 1940s includes assignments and study guides. 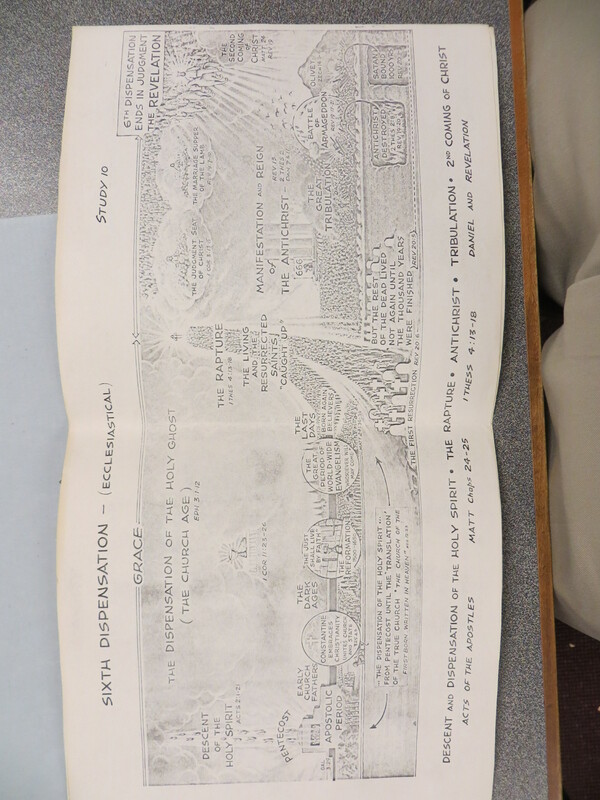 For example, this student turned in eighteen assignments from a book on missions. (The first fourteen were on time, the last four late. What happened during those last weeks?) The assignment was clear: Students were to read the book The Progress of World-Wide Missions, by Robert H. Glover. They were to write answers to a series of questions posed by the instructor. For this student, at least, the process was one of regurgitating facts and opinions from the book. She did not offer any of her own thoughts on the subject, nor did that seem to be encouraged. This student also left behind her set of study guides about Biblical dispensations. The theology taught at MBI hinged on dispensational premillennialism. Bible history (and future) was divided into a series of periods, or dispensations. In each dispensation, God ruled according to dispensationally appropriate guidelines. In order to make sense of the Bible, according to this system, it was necessary to understand the various dispensations at work. It seems fair to assume that these study guides were meant to provide students with help memorizing the details of each dispensation. When students had memorized these facts forward and backward, they could presumably read the Bible correctly. This system was the key to “rightly dividing the Word of Truth.” Without it, students and their future missionary targets could end up with woefully misleading interpretations of Scripture. Wow! Interesting stuff there at Moody. What schools are you looking at? There would be a huge variation before the evangelical and conservative movements and the decline of oldline protestant confessions. In Lutheran and Reformed schools, for example, you would find a very different expression of Fundamentalism. For sure. 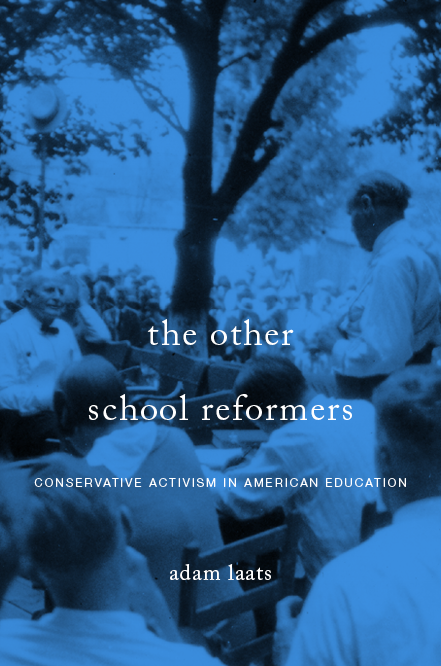 For this book, I’m mostly interested in the network of schools that were self-consciously interdenominational. “Inter-denominational” meaning mostly nondenominational or “free-church” protestants? My assumption would be they’d have had little or no interaction back then with Lutheran and Reformed schools, but all of them are under the influence of creationism and anti-modernist/five fundamentals theology which is originally Presbyterian, Anglican, and Adventist in its origins…I’ve never understand quite how these lines of influence worked back when all these groups were rather segregated. Right, this group is heavily Presbyterian, also Baptist. The group that dived in headfirst to the “fundamentalist” movement in the 1920s, then struggled for so long to figure out what that meant.